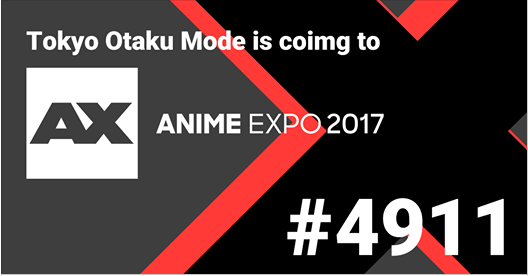 Tokyo Otaku Mode will be at Anime Expo this year as well! We plan on displaying our SAO x TOM Merchandise Collection at our booth this year, so please be sure to come and check it out! Anime Expo 2017 at the Los Angeles Convention Center from July 1 ~ 4.